Want to base your travel itinerary around outdoor galleries? Well, there is no better way to create one than to visit the best places on the planet for street art! Here are our top picks! In Paris you can actually book yourself a place on a street art tour. You can get the lowdown on infamous individuals such as Space Invader and Blek le Rat as well as superb photo opportunities in some tucked away neighbourhoods that you might not discover on your own! ALT PARIS TOUR v3 from Underground Paris on Vimeo. 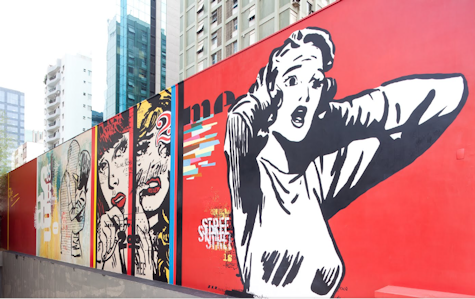 Entertaining, beautiful, and often shocking, the street art of Sao Paulo is not to be missed. Take a wander to view art by the likes of Eduardo Kobra, Nexus, Cadumen and Cranio. The art here is strong with political statement, and is a unique showcase for a wide range of graffiti styles. In the Big Apple, you can book a place on a FREE street tour to view the dazzling talents of NYCs street artists. On the tour you’ll find out the background and history of artists that like an urban canvas including Buff Monster, Skewville and Beau Stanton. Berlin’s tourist industry celebrates the street art that graces its walls, doorways, shelters and street furniture, which is wonderful! As well as the usual spray paint on concrete, you will find urban knitting and guerrilla gardening, all of which serves to brighten the lives of visitors and residents alike. For those in the know, El Bocho, XOOOOX and Evol live and work here. Street Art Tourism is big in Lisbon, a visual centre for the contemporary arts scene. 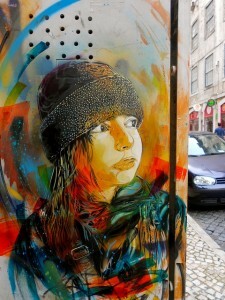 French street artist C215 has blessed the concrete jungle here with some iconic and instantly impressive murals. You’ll also witness some of Sam3’s huge artworks, so pack your wide angle lens if you want to get a good picture! As a cultural mecca, it is no surprise that Mexico City has a great street art scene. Urban art here is well accepted by residents as it is seen as another chapter in the city’s long heritage of mural masterpieces. Generally speaking as long as the art is good and has a message, it isn’t seen as invasive. 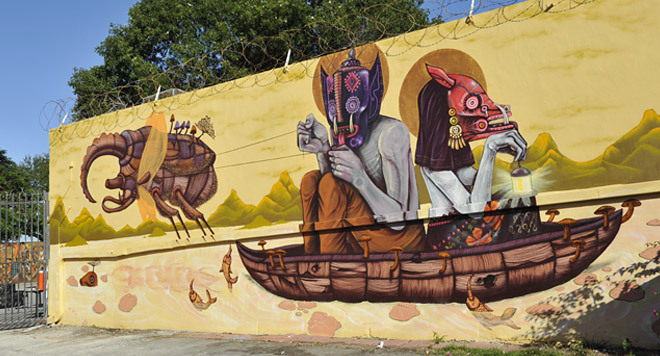 Check out the work of one of Mexico City’s most prolific artists, Edgar Saner! If you are going on a street art tour, you need to be armed with a smart phone and a decent digital camera, and probably a GoPro. Make sure you pack a wide angle lens, as street art is BIG, and you need to be able to fit the whole image in to one shot. Alternatively, if your smartphone has a decent camera on board, opt for some panoramic views! The GoPro is the best bet for taking some spectacular short vids, adding context to graffiti art tours, and for capturing any commentary provided by a guide. The reason you’ll need your phone is to make sure that you geo tag your experiences, and let the world know where you have been and what you have seen. The world of street art is constantly evolving, and murals rarely stay around for long before another artists makes their mark – so see it as your job to document your day and upload to your fave social media channels! This entry was posted in Travel Advice on September 18, 2015 by worldwideinsure.